The year 2018 is about to end and it has undoubtedly been a great year for cricket despite a few bad incidents. Many great innings and bowling efforts were witnessed and many new stars discovered through First-Class matches as well as the growing number of the T20 leagues all around the world. There have been many debutants in ODIs this year, most of them from Australia, India and the West Indies. With the World Cup approaching, teams are trying to get their combination right and a few new players have made their way into the lineup while few are still struggling. Having said so, there have been a few standout performers or those who have shown a lot of potential and have been backed by their teams. Here are the top 5 debutants in 2018. The young Windies pacer has been highly sought after and has become extremely popular among experts and cricket fanatics. 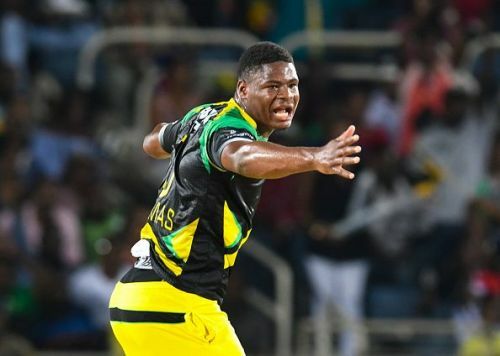 They term him as an exciting talent and the West Indies have backed him very well and are giving him enough opportunities in limited-overs cricket. He made his debut against India in Guwahati and picked up Shikhar Dhawan's wicket but leaked runs that game. Post that, the pacer has improved with his line and length and has picked up six wickets from four matches including a great series against Bangladesh. He has been picked by the Rajasthan Royals for the IPL. Oshane Thomas certainly doesn't have great numbers overall but he has been a great find and if he is honed, he's probably the best talent from 2018 and West Indies must continue to back him and he can deliver for them in any format of the game.